2 comments on "Rowan & Martin - Humor Of Rowan & Martin 1968"
Sounds like these were TV audio tracks. Pretty "racy" for its era, with the team's personas working overtime. 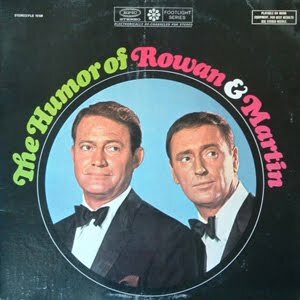 They weren't that original, but there's something "comfortable" about their comedy (maybe I used to catch "Laugh-In" as a kid...).